War of words continue with former chairman of Tata Sons, Cyrus Mistry and Tata Sons making allegations and counter allegations. 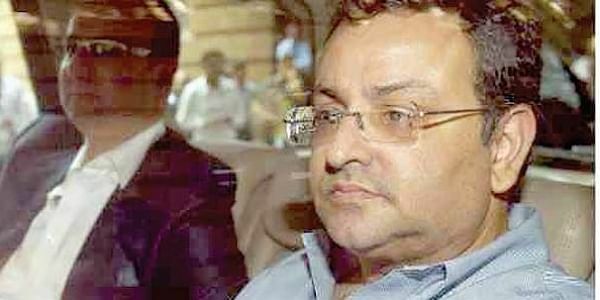 MUMBAI: War of words continue with former chairman of Tata Sons, Cyrus Mistry and Tata Sons making allegations and counter allegations. On Sunday, the ousted Tata Sons chairman stated that the firm’s statement that group firms were drifting away from the holding company due to changes made during his tenure were far from the truth, stating that its criticism of independent directors was unfortunate. Tata Sons responded instantly to Mistry’s rebuttal by re-iterating that it will do what is necessary to deal with the situation. “To suggest that ‘ulterior objectives’ and ‘clever strategy’ can sway these eminent names in undertaking their fiduciary duties and discharging the duties mandated by the statute as independent directors is absolutely astonishing and really speaks to how low Tata Sons has unfortunately stooped in their public statements,” a statement from Mistry’s office said on Sunday. Mistry also named some prominent independent directors whose conduct has been questioned, including industry heavyweights like Deepak Parekh, Nusli Wadia and Nadir Godrej, adding that it was “truly unfortunate” that independence of “stalwarts of India Inc” is being questioned. Tata Sons on November 10 had stated that, “He (Mistry) has cleverly ensured over these years that he would be the only Tata Sons representative on the board of IHCL in order to frustrate Tata Sons’ ability to exercise influence and control on IHCL,” the Tata Sons letter had said. Tata Sons’ statement followed Independent directors at Tata Chemicals and IHCLsupporting Mistry to retain him as the chairman of their respective boards. This prompted Tata Sons to move an EGM to remove independent director Nusli Wadia of Brittania Industries and Bombay Dyeing too from the board. Mistry pointed out that allegations that he had “consciously dismantled so that now the operating companies are drifting farther away from the promoter company and their major shareholder” were the “furthest from the truth” and added that changing the board structure was part of a plan to alter the corporate governance practices with an aim to make Tata Group’s companies run independently. “The corporate governance framework that was developed under Mistry’s leadership attempted to ensure group companies would adhere to the group values, share best practices, enable movement of talent, exploit win-win synergies, and do all of his without impinging on the independence of the operating companies and the boards that they are ultimately responsible to,” the letter stated. Mistry’s statement also stated that there was a need to make the old corporate governance structure more compliant. “...between Tata Trusts, Tata Sons and the Tata operating companies, there was a need to be compliant with the law relating to insider trading by ensuring communication of unpublished price sensitive information strictly on a need to know basis,” Mistry said. Meanwhile, ahead of Tata Motors’ crucial board meeting on Monday, two unions of the company representing around 16,000 employees have written to the management expressing their support to Ratan Tata. In a letter to Tata Motors CEO and MD Guenter Butschek, Tata Motors Employees Union, Pune expressed “deep concern” over the rift between Tata Sons and the leadership of Tata group companies. “Moreover, the once cordial relations between Tata Motors Pune plant management and the employees have taken a downward turn since the last 14 months over various negotiable issues,” stated the letter.